A group of seven Democratic lawmakers from the Washington, D.C., area demanded Wednesday that House leadership add reforms and funding for the city’s public transit service to a pending infrastructure bill to improve federal employees’ commute to work. In a letter to House Transportation Committee Chairman Bill Shuster, R-Penn., and ranking member Peter DeFazio, D-Ore., a group of Democrats representing a large number of federal workers in the D.C. region highlighted agencies’ reliance on the Washington Metropolitan Area Transit Authority, which runs Washington’s Metro system. The transit agency has been embattled in recent years. In 2015, one woman died due to smoke inhalation as the result of an electrical malfunction. Since then, WMATA underwent a disruptive year-long maintenance campaign called SafeTrack, which had mixed results. And next year, a number of stations in Northern Virginia will be closed from Memorial Day through Labor Day as the agency rebuilds station platforms. The lawmakers urged the committee leaders to include the provisions of the Metro Accountability and Investment Act (H.R. 4900) in Shuster’s infrastructure investment bill, which he unveiled last month. 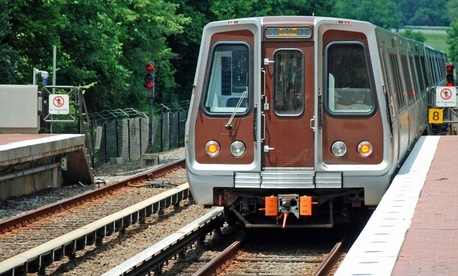 The Metro bill would enact reforms to make WMATA’s inspector general more independent of the agency it oversees, and it would provide a dedicated annual federal investment as well as funding for capital projects through the 2008 Passenger Rail Investment and Improvement Act. Also signing the letter were Reps. Steny Hoyer, D-Md., Don Beyer, D-Va., Jamie Raskin, D-Md., John Sarbanes, D-Md., Anthony Brown, D-Md., and Del. Eleanor Holmes Norton, D-D.C. Meanwhile the Senate last week voted overwhelmingly to advance a spending bill for various agencies that included a provision that would provide a 1.9 percent pay increase for civilian federal workers in 2019. But, especially given the White House’s opposition to the raise and the House’s omission of that proposal in its version of the spending package, there is much to be done before feds’ compensation next year is finalized. The next step in Congress would be for the Senate and House to go to conference to iron out the differences between each chamber’s version of the legislation containing the raise. But the Senate is on a two-week recess, and the House will not reconvene until next month, meaning the earliest that the official conference process can begin is after Labor Day. When Congress is back in session, lawmakers will have until the end of the fiscal year on Sept. 30 to agree on a spending bill, or they could risk another government shutdown. Further complicating matters is the fact that President Trump has repeatedly suggested he may refuse to sign any appropriations bills that do not fund his proposed wall along the U.S.-Mexico and address other immigration priorities. Whether or not the White House chooses to go along with the Senate’s pay raise proposal, it also has work to do. By the end of August, the president must issue his alternative pay plan, a statement laying out his own proposal for federal worker compensation in 2019, or else a significantly larger automatic increase will kick in, as a result of the 1990 Federal Employees Pay Comparability Act. The Trump administration has proposed a pay freeze in 2019 for federal civilian workers. If Congress elects to go along with this proposal, Trump would then issue his formal declaration of a pay freeze in December, as part of a report from the President’s Pay Agent. If Congress goes with the Senate's proposal for a 1.9 percent raise and President Trump signs the spending bill, then the raise would take effect at the time designated in the bill (usually the beginning of the calendar year).